In J.R. Smith's partially guaranteed contract, the Cleveland Cavaliers possess one of the most valuable trade chips in the entire NBA. CLEVELAND -- With All-Stars such as Kevin Durant, Kawhi Leonard, Klay Thompson, Kyrie Irving, Jimmy Butler and Kemba Walker slated to hit free agency, the upcoming NBA offseason possesses the potential to be one of the biggest in league history. And the Cleveland Cavaliers could very well find themselves right in the middle of it. No, unlike previous years in which LeBron James was still on the roster, the Cavs won't be linked to any stars this summer -- and odds are they wouldn't even be able to land one of them if they tried. 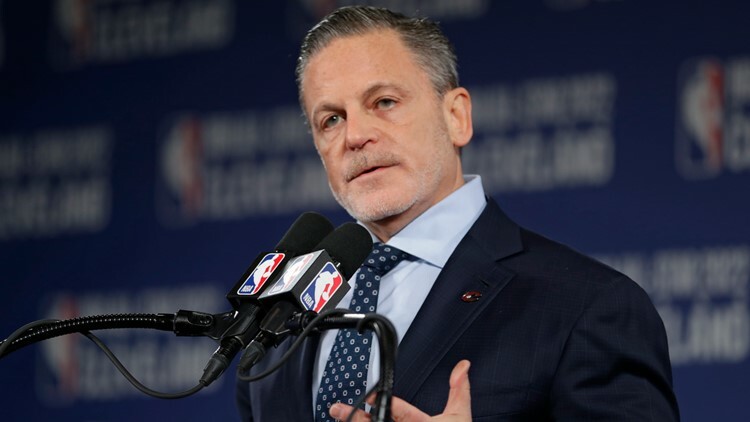 Even aside from Cleveland still being just one year into a multi-year rebuilding process, the Cavs simply won't possess enough cap space to make a significant splurge this summer, nor would such signing fit the team's current strategy. 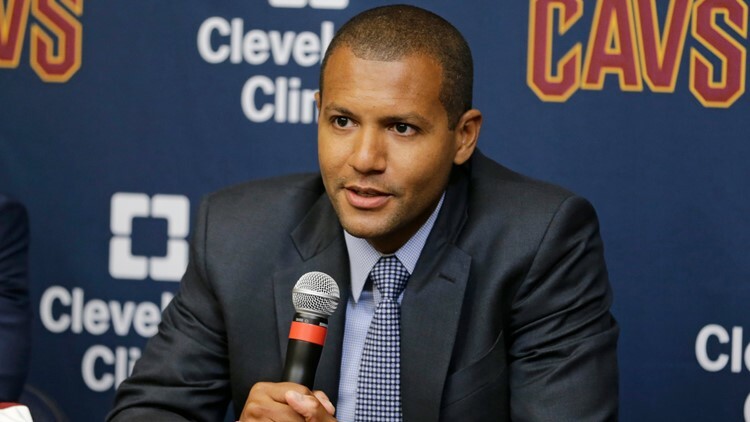 That, however, won't stop Cleveland general manager Koby Altman from being active in the coming weeks -- beyond the team's ongoing coaching search. 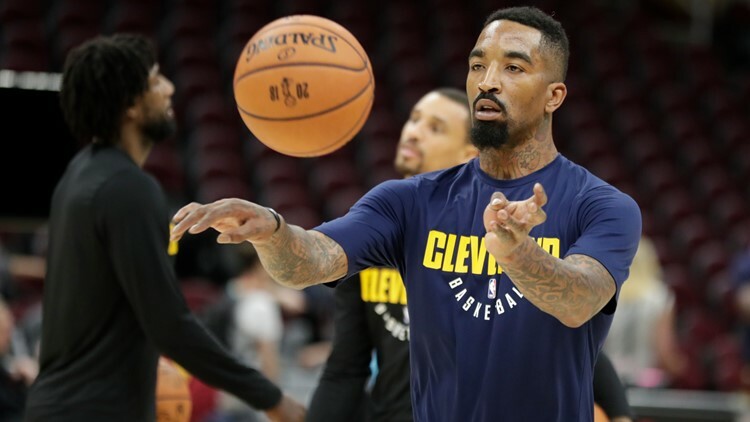 In J.R. Smith's contract, the Cavs lay claim to one of the league's most valuable assets -- and one which is already drawing interest from teams around the league. "We are actually the only team in the NBA that can provide guaranteed cap relief from teams or salary relief until July 1,” Altman said at Cleveland Clinic Courts on Friday. "We can guarantee that right now and we actually had a phone call yesterday on that trade chip, so, we’re going to keep on being aggressive adding those assets because we do eventually want to consolidate and be really good at some point." While Smith's cap figure for the 2019-20 season is listed at $15.68 million, only $3.87 million of that salary is guaranteed. That means another team could trade Cleveland a contract -- or contracts -- that match Smith's initial figure, but only owe the veteran shooting guard $3.87 million upon releasing him. And in order to entice the Cavs to make such a deal, a team would likely have to send a draft pick -- or more -- Cleveland's way. "We're always going to be open to adding more draft assets, because that's part of our goal," Altman said. "From now until the draft, we actually have a trade chip in J.R. Smith, his contract, where we can take on maybe some money that other teams are trying to get some cap relief from." In many ways, Smith's contract is a symbol for the Cavs' current strategy. Although Cleveland ultimately laid claim to the second-worst record in the NBA last season at 19-63, wins and losses came secondary to asset accumulation -- especially in the form of draft picks. Over the course of four separate trades, the Cavs acquired two first-round picks and five second-round selections, often at the cost of taking on more long-term salary than they already owed. "We're very fortunate to have [owner] Dan [Gilbert], who is willing to help fund that," Altman said. At least as far as Smith's contract is concerned, it appears that strategy will continue into the upcoming offseason. And while a market for the Cavs' top trade chip won't likely fully form until the end of the playoffs, it's worth noting that only nine teams in the league are currently projected to possess enough cap space to sign a max salary this offseason, according to figures on Spotrac.com. Would the Miami Heat be willing to part ways with its first-round pick in order to rid itself of one or more of its bad contracts? Or could the Boston Celtics come calling looking to clear salary for a blockbuster signing? We'll find out in the weeks ahead. For now, the Cavs are taking calls and focusing on their coaching search, knowing that it might not be long until they assume their familiar position in the spotlight of the NBA summer.